Tent peak with an altitude of 5,663m is part of the Annapurna mountain range and it lies to the southern side of Annapurna Base Camp. 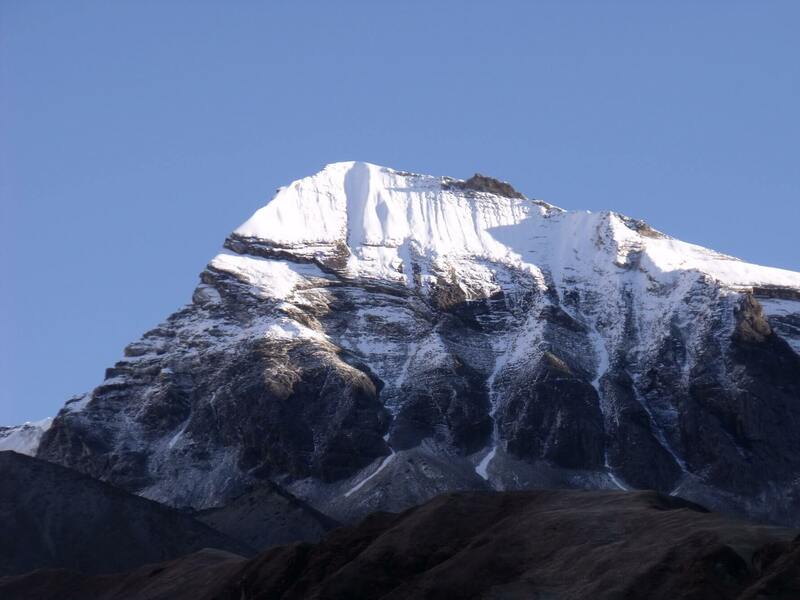 Tent peak is also known as Tharpu Chuli which offers majestic views of the Annapurna peaks. The breathtaking scenery of this region motivates climbers to choose this peak for their adventures. You will experience a lot of nature as well as culture in your trek. The flora fauna, the magnificent snow-capped mountains including Annapurna I, Mt. Fishtail, the local people, their cultures, and hospitality will definitely charms you. The Tent Peak trek starts by driving to Nayapul from the lake town of Pokhara for about one and half hour. After Nayapul, the route passes through farmlands, different ethnic villages including the famous Ghandruk village and lush forest, and heads up all the way to the Annapurna Base Camp (ABC). From the base camp, you can have a 360-degree panoramic view of the Annapurna ranges. After that, you trekked across the glaciers to climb up to the peak of Tent Peak. This alluring peak is a part of the ridgeline of the south portion of glacier dome which includes Singu chuli. Being the most climbed peak in Nepal the major eye-popping factor of this trek is the elite exploration of Annapurna sanctuary. The summit offers the thrilling 360degree panorama of Annapurna massif. 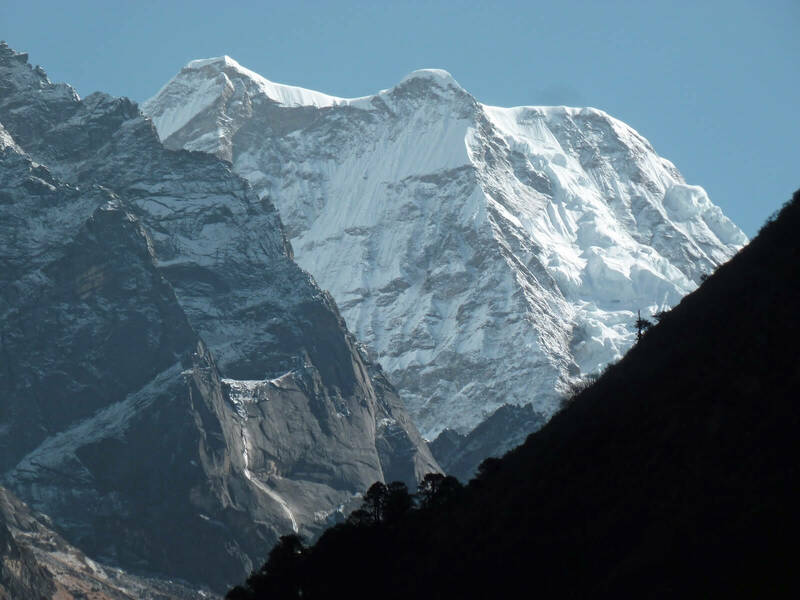 When we see the peak from the moraines at the south base camp of Annapurna the peak abruptly takes the shape of a tent as described in its name. 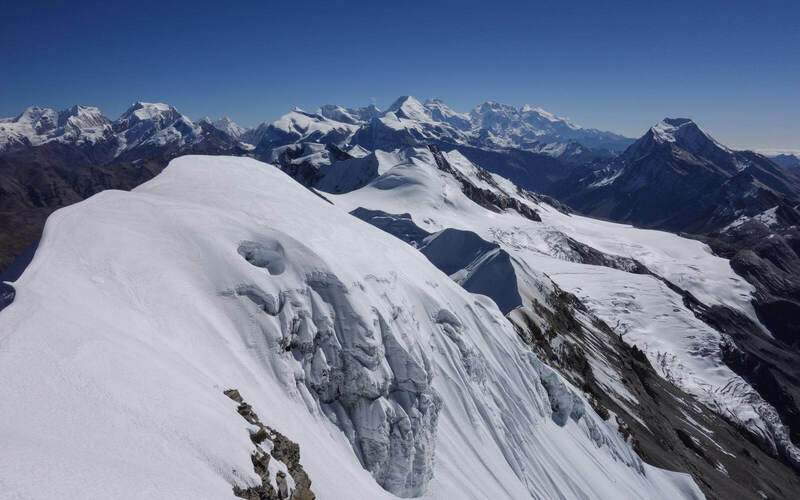 Climbing tent peak is ideal for all those novices as well as experienced climbers who want to climb a Himalayan peak on a smaller scale but experience the equal amount of adventure and ecstasy with a bang. The trek is designed for anyone who is physically fit with adventure loving persona. Kathmandu sightseeing starts with a visit to UNESCO World Heritage Sites which includes Kathmandu Durbar Square, Patan Durbar Square, Bhaktapur Durbar Square, Boudhanath, Swayambhunath and Pashupatinath. Drive to Pokhara for about 7 hrs by bus. On the way you can enjoy the beautiful landscape of Nepal. Drive for about one and half hour from Pokhara to Nayapul. The route follows the main road for about 2 hours from Birethanti till Kilu. After Kilu the route ascends all the way to Ghandruk through farmlands and small village. On the way you can enjoy the beautiful view of Mt. Fishtail, South Annapurna and Hiuchuli. Ghandruk is a typical Gurung village where you can experience the local culture and traditions. From Ghandruk the trail is gradually up to a place called Komrong Danda and from here the trail descends to Komrong Khola. After crossing the river the trail is steep uphill to the village of Chhomrong. Chhomrong village lies in the lap of Annapurna South, Hiuchuli and Mt. Fishtail which offers you the spectacular view of those mountains. The trail dips down to a river and ascends steep up to the village of Sinuwa Danda. After Sinuwa the path is gentle for a while. The route then passes through a dense Rhododendron forest and descends down to Bamboo. From Bamboo the path ascends and enters a dense forest of rhododendron all the way to Dobhan. While trekking up to Machhapuchhre Base Camp the higher you climb the more vegetation will disappear. The route ascends gradually all the way to MBC passing through Deurali. On the way to MBC you will see an ice cave at a place call Bagar above Deurali. From the base camp you can see the magnificent view of Mt. Fishtail, Gandharba Himal, Annapurna III, Gangapurna and part of Annpurna South along with Annapurna I. 2 hours of walk from MBC leads you to the heaven like Annapurna Base Camp (ABC). The trail ascends gradually to the ABC. Once you reach here you will find yourself surrounded by snow capped mountains. You can have panoramic 360-degree view of the Annapurna range which includes Annapurna I (8091m), Annapurna South, Fishtail, Annapurna III, Barahi Shikhar, Tent Peak and Gandharba Chuli. On this day your guide will brief about the climbing and provide training on peak climbing techniques and using the climbing equipments in a good manner believing that this training will boost your confident level, climbing skills and helps on scaling the summit with an ease. The route crosses the glaciated peak passes and then descends to the South Annapurna glacier. The route then follows the cairned trail across the ice surface. Mount the moraine on the opposite bank of the glacier. Eventually a flat camping area will be reached. 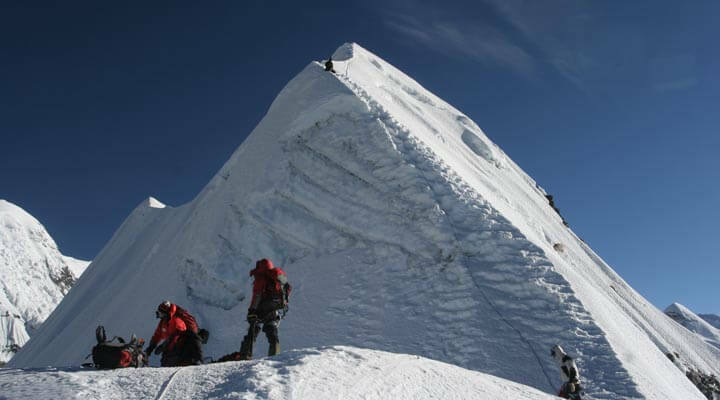 The route follows the steep ascent to the High Camp. From here the trekkers can enjoy the panoramic view of the Annapurna ranges. The best way to scale the summit is by starting the climb early morning or around midnight so we can reach the summit in the morning because in the midday strong winds of the highlands will be obstacle. After reaching the summit you can enjoy the spectacular view of the Annapurna ranges and take plenty of pictures before descending back to the high camp. Follow the same descending route back to the Tent Peak Base Camp and further more to the Annapurna Base Camp. Wake up early in the morning to have a breathtaking sunrise view from the Annapurna Base Camp and descend back to Bamboo. Trek back to Chhomrong and then take left from the top of the Chhomrong village and descend towards the Jhinu Danda. This route descends down Komrong Khola and ascends to a small village before New Bridge. After then trail passes through passes through a lush forest and a farmland to a village called Kyumi, which lies on the bank of Modi River just below the Ghandruk village. From Kyumi the path is gentle up for about 5 minutes then the path is gentle flat all the way to Nayapul. From Nayapul you can drive back to Pokhara. From Pokhara you can either take a bus or a plane back to Kathmandu. Our Service Includes: Assistance at the airport. Airport tax along with airport pickup and drop up. Hotel accommodation on a B&B basis. Private vehicle for the tour. Entrance fees wherever it is required. A fully informed and experienced English-speaking guide. Guide Fees Domestic airfare. Our Service Excludes: International airfare. Travel and rescue insurance. Lunch and dinner. Personal Expenses. Any other unexpected costs that may arise due to delay, cancellation, strike etc. Tips for guide, staff and driver.